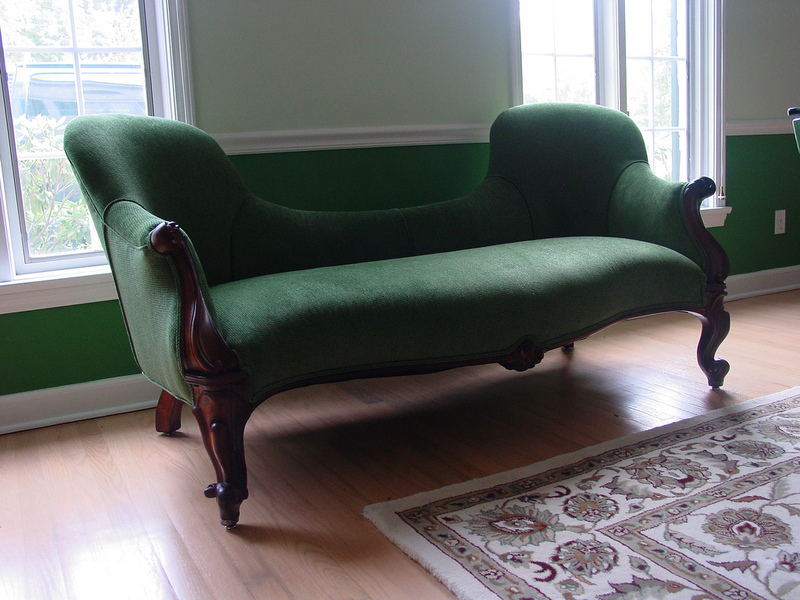 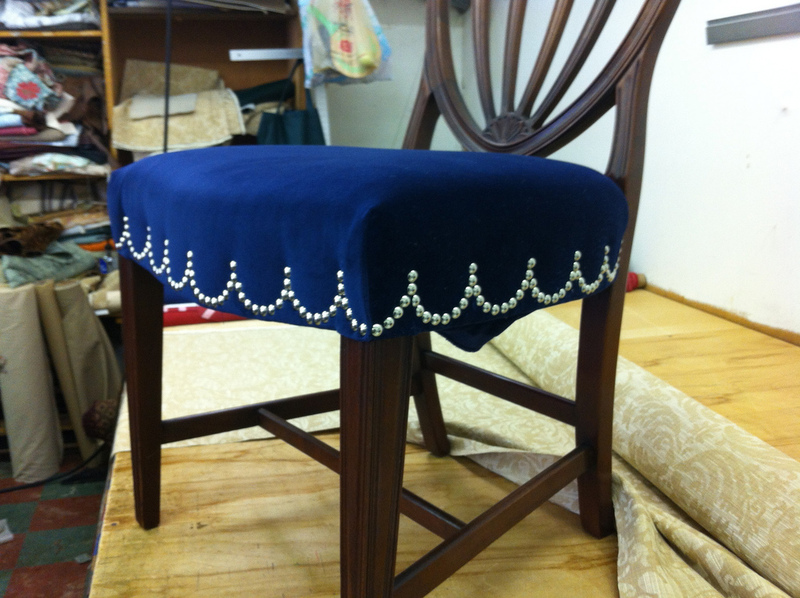 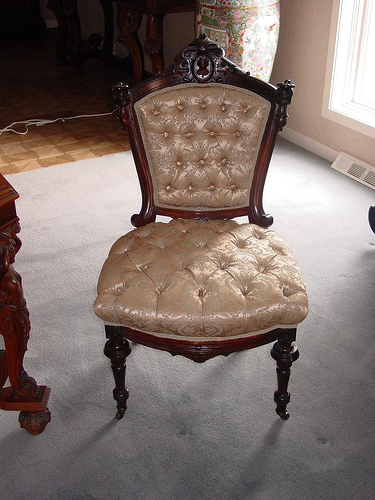 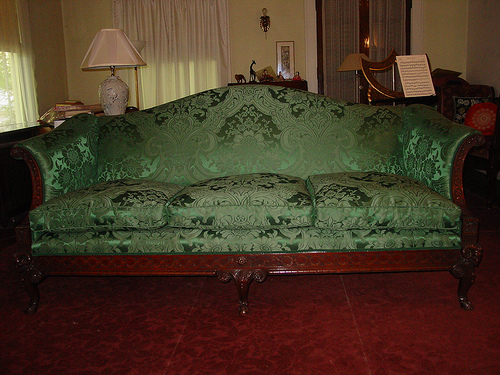 Upon restoration, every antique piece is completely stripped of its old upholstery. Next, the frame is checked and, if needed, is reinforced. 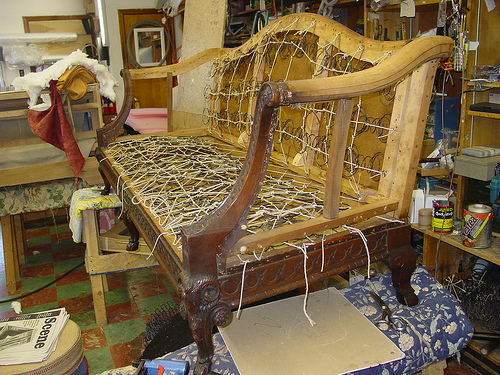 The finished wood is then cleaned and any touch-up work is done. 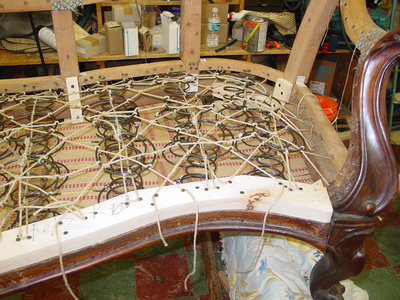 Webbing is then added to all of the open frames. 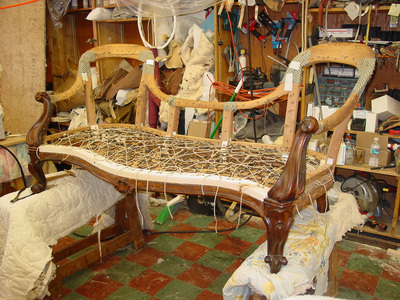 This is essential to the durability of the chair as it provides the support for the coil springs. 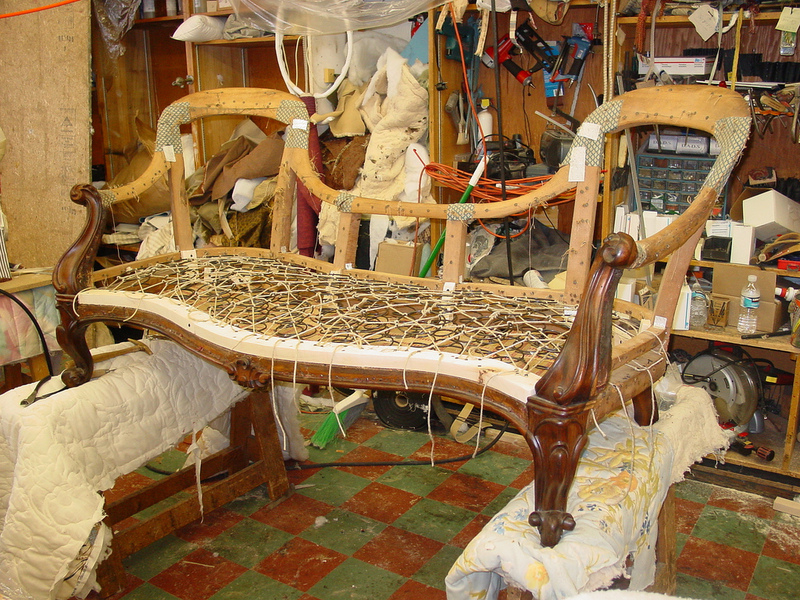 Double-cone coil springs are attached to the webbing and hand tied using eight-way knots with Italian jute twine. 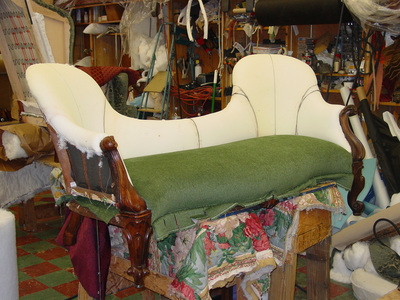 Following the construction of the frame and springs, stuffing is added to meet the specifications of the customer. All types of stuffing are available, from horsehair, to capture the classical feel of the furniture, to high quality HR foam, used in luxury furniture.